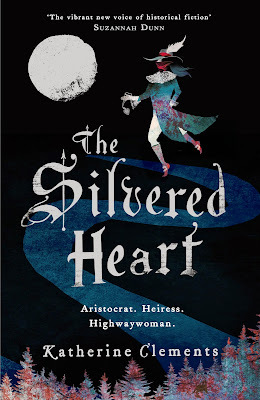 Today is my stop on The Silvered Heart blog tour and, following the book synopsis below, I have a guest post from the author, Katherine Clements. 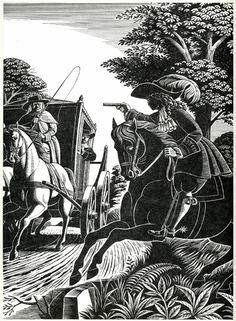 According to popular legend, Lady Katherine Ferrers, the notorious highwaywoman known as ‘The Wicked Lady’, died in Hertfordshire in June 1660. Rumours of her hauntings have circulated local towns and villages ever since. 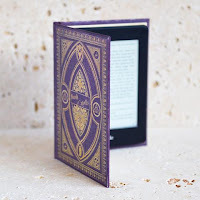 Katherine has been seen, and heard, wandering the staircases at her family home, Markyate Cell, and swinging beneath the branches of an old sycamore tree in the grounds. She appears on Nomansland Common, a nearby heathland that was supposedly the site of her criminal activity and the place she was fatally shot. Ramblers and travellers report the sight and sounds of a rider, galloping hard across the common on a grey horse, as recently as the 1970’s. Both these places feature in The Silvered Heart, my novel about Katherine Ferrers, but is there any truth in the tales? Illustration by Eric Fraser from Folklore Myths and Legends, 1973. Markyate Cell, the Ferrers’ family home, lies at the heart of Katherine’s story and plays a significant role in the legend. She is supposed to have embarked on her highway robberies from here, via a secret staircase, at the foot of which she is said to have died. 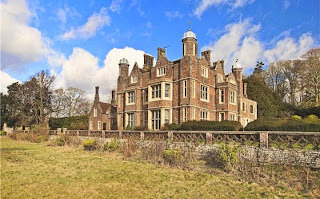 Originally the site of a 12th century Benedictine priory, the building was adapted into a family home after the dissolution of the monasteries. 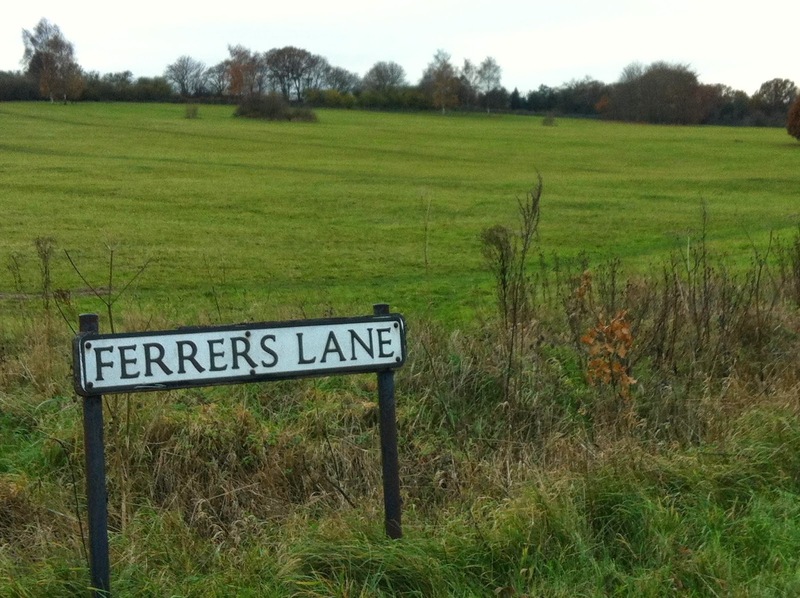 The Ferrers family took it over in the mid 16th century. 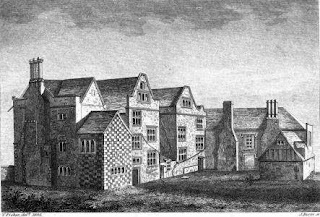 We have no images from the time that the real Katherine would have lived there; the earliest is this illustration from The Gentlemans’ Magazine, drawn in 1805. The house we see today dates from the 1840s. It was rebuilt after most of the original building was destroyed by fire. The blaze was rumoured to have been kindled by Katherine’s ghost – those fighting the flames are said to have sensed her malevolent presence. And there is indeed a concealed chamber in the house, revealed by builders in the 19th century. To my fictional Katherine, the house is just as important; it represents everything she’s lost and her failure to keep hold of the Ferrers fortune. Her single-minded determination to return is a theme throughout the book. In a strange twist of fate, the real Markyate Cell has been out of reach to me too. During the time I was researching and writing, the privately owned house was repossessed and has been on the market for some time. Though I’ve tried making enquiries, I’ve been unable to gain access. It would be a great shame to see Katherine’s house completely abandoned and I still hope I’ll be able to visit one day. As far as I know, it is still standing empty. 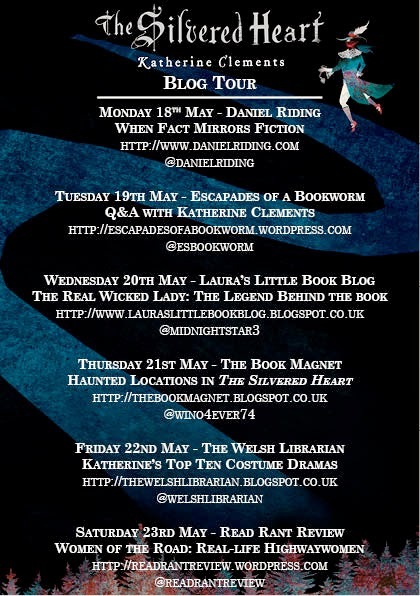 Perhaps Katherine has her house to herself after all! Markyate Cell as it is today. 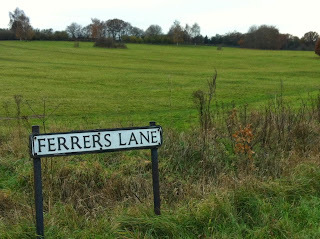 Nomansland Common, near Wheathampstead, still exists and is transected by Ferrers Lane, named after our heroine. The spot certainly has a chequered past. The road that runs north across the common (now the B651) was prone to highway thieves and brigands who terrorized travellers in the 17th and 18th centuries, and there has been an inn on the spot for hundreds of years (now called The Wicked Lady). In the late Middle Ages it was briefly the site of a gallows, and a significant battle – The Second Battle of St Albans – was fought nearby during the Wars of the Roses. Skeletons and cannonballs, recovered in the 18th century, are thought to date from the battle, and have perhaps added to the macabre myths surrounding it. Sadly, the common is associated with a couple of grisly 20th century murders too. It’s not so surprising it’s grown to be a place imbued with local legends. 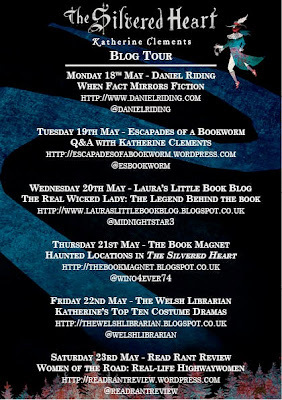 The case of the Wicked Lady is an intriguing example of how the stories we tell have a life that lasts long after the facts of the matter have been lost. 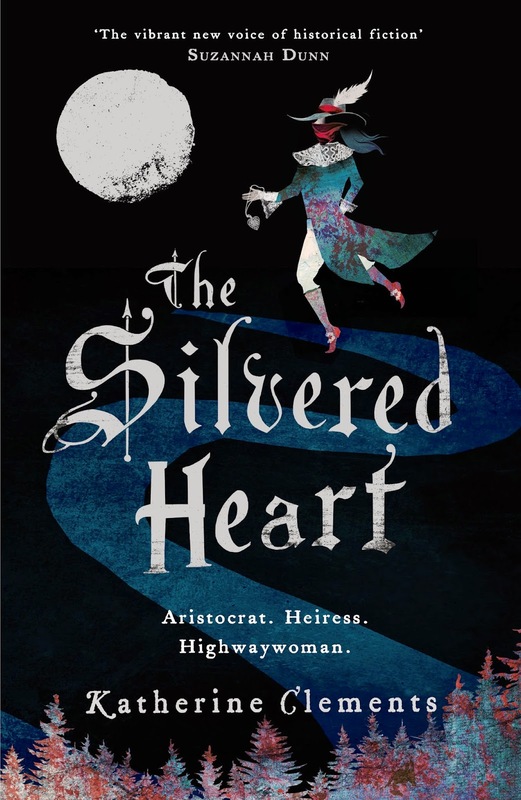 The Silvered Heart is my own version of the legend, based on what little we know about the real Katherine Ferrers. Whether or not she’s still with us in spirit, I hope the book helps to keep her story alive.